Tensile Fabric Structures Ltd specialise in delivering exceptional quality tensile fabric architecture. We create and install architecturally designed tensile fabric structures, shade sails and fabric canopies across the UK and beyond. 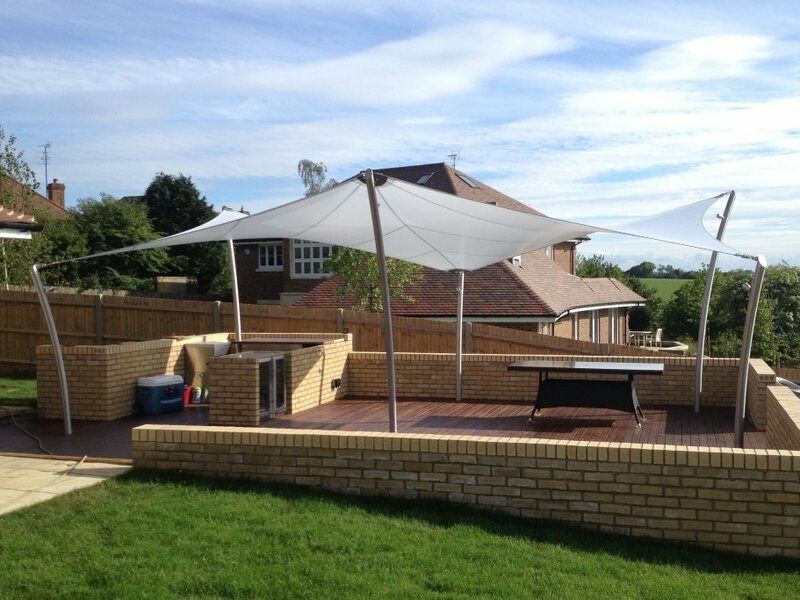 All our fabric structures, tensile canopies & shade sails are designed by us and locally hand made to order. 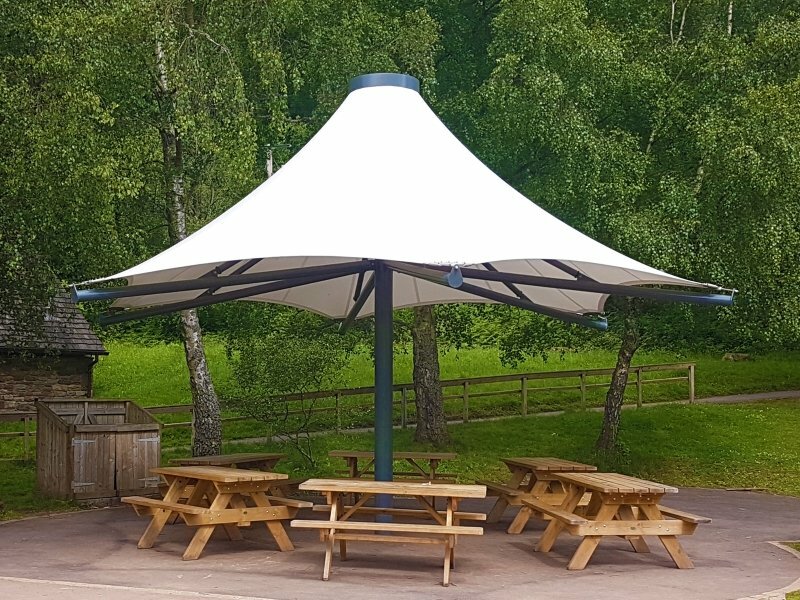 Choose from our range of over 50 ready to install, pre-designed and engineered tensile fabric structures and garden shade sails. 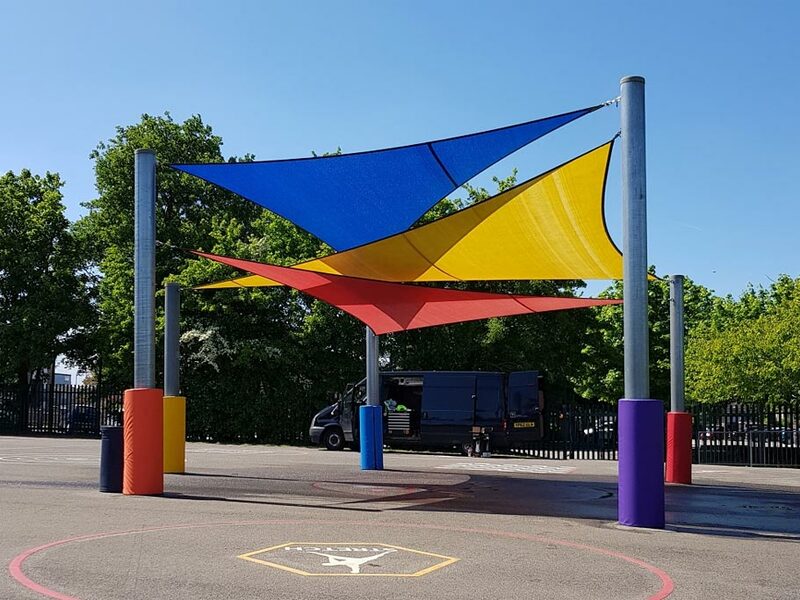 Our value driven school canopies have been specially selected from our ranges and are perfect for use in an educational environment. 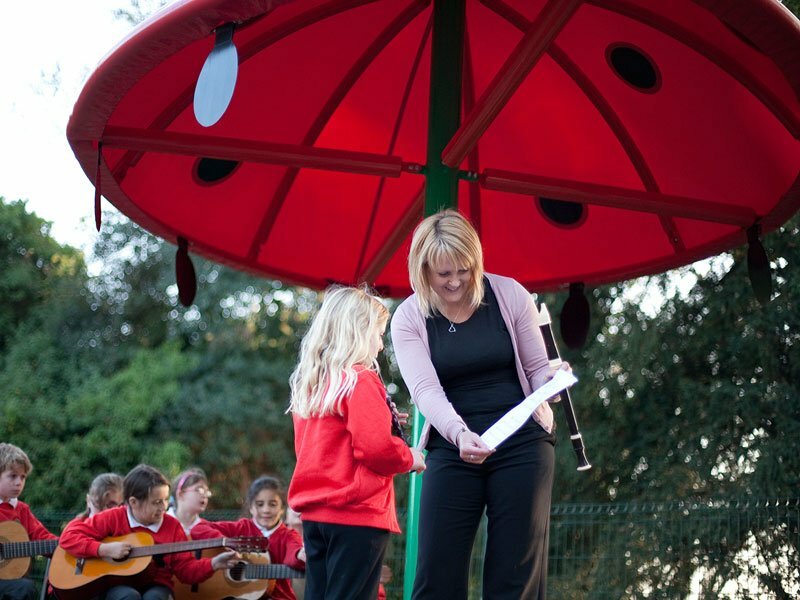 We offer schools & colleges a full turnkey service, including foundations. We also offer bespoke commercial shade sail structures and replacement shade sails with our ‘measure and fit’ service. Alternatively, we can work with you to create a specialist design and build solution for your site and to your specifications. A selection of our design and build projects can seen in our portfolio. A Tensile Fabric Structure will combine form and functionality. All of our structures are highly engineered and expertly crafted to provide years of outdoor protection from the elements.